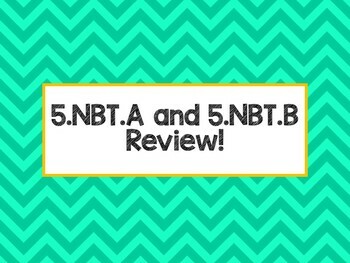 I used this powerpoint as a basic review that covers all 5.NBT (A and B) CCSS. There are 30 slides with a total of 36 questions, and students will answer each question on whiteboards. There is a task card version of this resource. Check it out here! 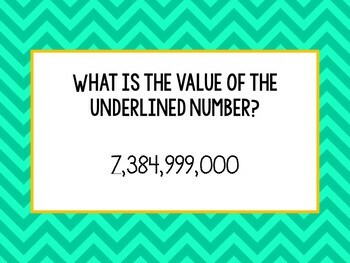 Students will review reading and writing whole numbers and decimals, recognizing the value of digits (hundredths-millions), writing numbers in standard, expanded, and word form, multiplying and dividing whole numbers, and performing all four operations with decimals. 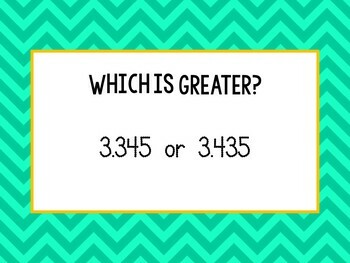 Could be used as a pre-assessment to the unit, exit tickets throughout the unit, or a review at the end of the unit. 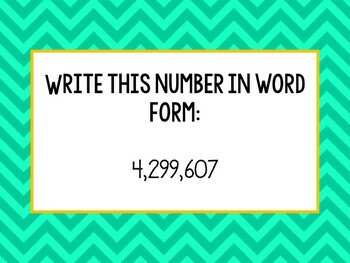 Make it a competition between table groups! Enjoy!